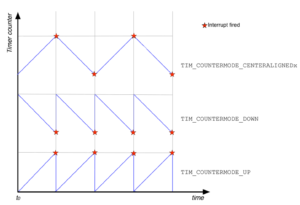 The Figure below shows the three main counting modes. 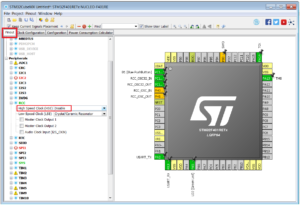 In this example we show you how to use the Timer as a Counter to detect an input after certain number of events. For example we will count the pressure of button and, after five pressure of the button, we will change the status of the led. For do this example we use the NUCLEO-F401RE , CUBE-MX and ATOLLIC. 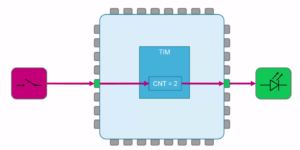 The Timer that we use is TIM1. 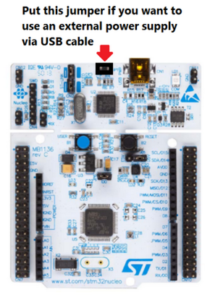 First run CUBE-MX and generate a new project choosing the NUCLEO-F401RE, see below. 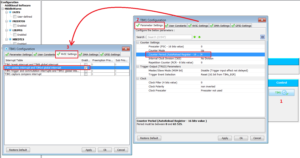 Now open the PINOUT tab and disable the HSE input, se the red box below. 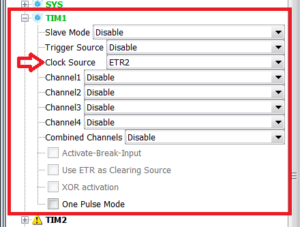 Again, open the TIM1 and select CLOCK SOURCE as ETR2, see below. 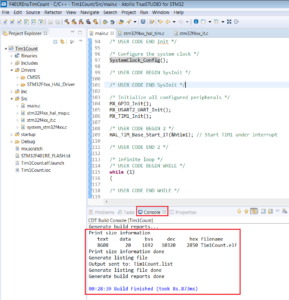 Now click on the CLOCK CONFIGURATION tab and write 84 in the box named: HCLK, see below, then press ENTER. 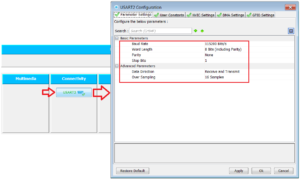 Now click on the CONFIGURATION tab, select USART2 and configure it as shown below. USART2 in this project is not used but we will use it in a new release of this tutorial in the future. 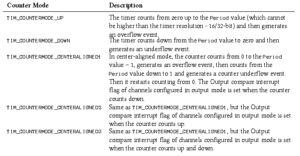 It’s time to configure a TIMER as a COUNTER. Now it’s time to generate the code. 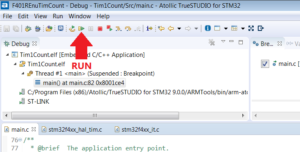 and choose the compiler that you need to use, in our case is ATOLLIC (TrueSTUDIO). because you could block CUBE-MX. ATOLLIC start and at the begin, select your working directory, see below. 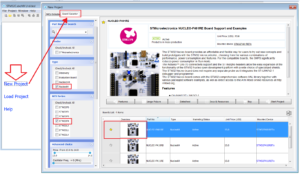 Try now to compile your project, you must see somethings like below. 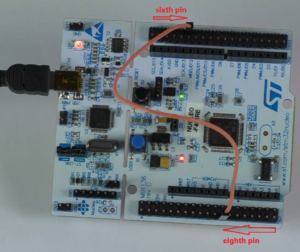 Well, if you have successfully compiled, now let’s modify the SW to read the Blue Button and turn on the Green LED present on NUCLEO-F401RE board. For do every things we will use the interrupts and the callback for TIM1. 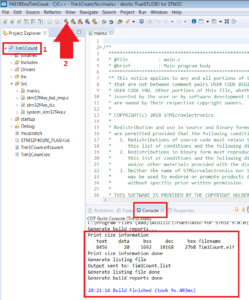 It’s time to compile your project. If you did everything right, you must see something similar to below image. 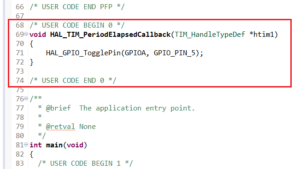 For test our project is necessary connect the Blue Button (PC_13) (present on the NUCLEO-F401RE) to the Tim1 input that is PA_12 (TIM1_ETR). Now go into debug and run the program. Now press 5 times the BLUE Button for turns off the Green LED. If you press the BLUE Button again for 5 times the Green LED lights up and so on.